*Update 14 Feb. 2015: Voyager 1 is currently 19,566,609,000 km (12,158,127,000 miles) away from us…that’s over 130 times the distance between the Sun and Earth. It’s now passed beyond the heliosphere, the “bubble” of charged particles flowing outward from the Sun, and is traveling into the exotic realm of interstellar space. Launched in 1977, Voyager 1 is the most distant human-made object in existence. Previous Post The Force is Strong With This ISS Crew! The final frontier… very, very cool! Pingback: It’s Valentine’s Day, Again… | I Want Ice Water! Good Valentine Day to Voyager 1 and Voyager 2 !! Great Post!! 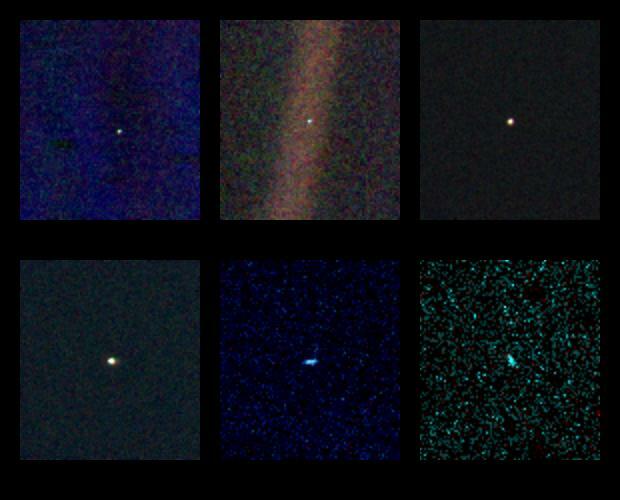 Linking to my post on Sagan’s Pale Blue Dot book… (we’re on the same page today).